The bad news: Recently, according to the Job Openings and Labor Turnover Survey, the number of open U.S. construction sector jobs came in at 243,000. This widening gap between available positions and skilled workers ready to fill them continues to pour pressure on owners, developers, contractors and project managers. The good news: Flying in the face of this worker shortage, construction work is booming, forcing companies to look to technology and elsewhere for solutions to shore up operations, increase efficiency and do more with less. The sobering news: Unless this industry-wide labor shortage—now affecting all trades—is addressed at root level and resolved long-term, no matter how many developers are willing to invest how many billions in new construction, sheer lack of execution will let the wind out of the construction sails and bring about another downturn. How is the current labor shortage affecting AWCI member contractors, and how are they dealing with it? And Craig Daley, president of Daley’s Drywall & Taping in Northern California, says, “We see a shortage of qualified journeypersons. The union halls are bare and anyone of talent already has a job. Says Pat Arrington, principal at Commercial Enterprises, Inc. in New Mexico: “We display current and future projects on a clearly visible 8' x 4' board so applicants who come in to fill out paperwork see we have work for several years. They are like all of us, wanting to know there is future work. “It’s affecting us quite a bit,” says Greg Smith, executive vice president at Superior Wall Systems in California, “and not only us but the industry as a whole. We have trouble finding qualified people to work in the field, and this diluted talent-pool breeds diminishing returns, since we have to bid work at production rates that new hires may not be able to meet. “All companies have a core group of employees that take ownership of their work, and that translates directly to a good bottom line. When we are forced to work with a large influx of new hires, we lose experience and production rates. “The GCs are facing similar shortages: As a result, people on their side are promoted faster than they should be, resulting in projects that are not managed efficiently. “The other trades, too, are dealing with labor shortages resulting in a slowdown with in-wall trades like mechanical, electrical and plumbing, which has a detrimental effect on the overall project schedule. “Lastly, our material distributors are in the same boat. While the supply of materials is not an issue, getting those materials to the site is. Mike Holland, chief operating officer of Marek Brothers Systems, Inc. in Texas, says the labor shortage is “already constricting our ability to pursue work and meet revenue targets. Due to our workforce demographic, we are losing skilled, experienced workers faster than we can replace them. 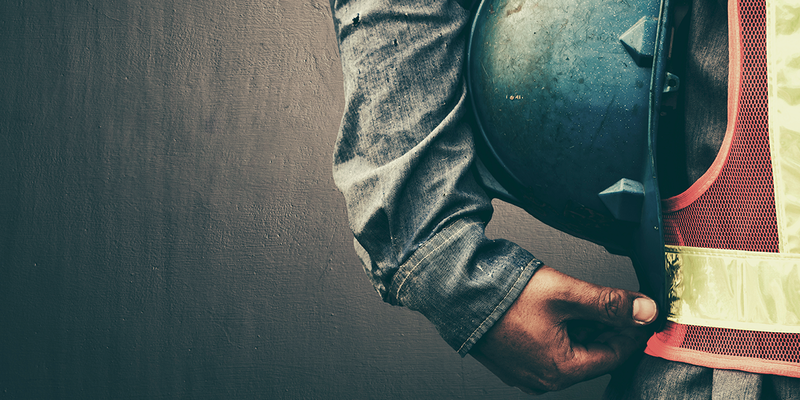 How is the predicted longer-term labor shortage affecting our members, and how are ceiling and wall contractors preparing for it? Jerry Smith’s company is now more aware of its manpower count. He says they are also trying to be creative in finding manpower. DeHorn says, “We are running a pretty constant manpower load in the field. Our estimating department is looking for projects that fit into our backlog valleys while not building mountains. Greg Smith’s company is taking a closer look at production rates, time frames and margins. “We started stockpiling field personnel about 12 months ago in preparation for this,” he says, “and consequently have not been hit as hard as we could have been. Holland says, “Ten years ago, we started a formal workforce development program at Marek that was aimed at ensuring the perpetuation of our most vital resource—our people, especially our craft professionals. Still, even after this 10-year focus on recruit, train and retain, we are evolving and learning how much there is still to be done. How can manufacturers help alleviate the labor shortage? Kirk believes manufacturers have already done a lot. “For instance,” he says, “prefabricated box headers shave 90 percent off labor time compared with field-built box headers. I think they’re great, but I don’t see them used by other companies too often. How can other fields and factors—such as schools, politicians, technology, training, leadership, panelizing (assembling prefabricated sections of walls, floors or roofs at the building site), etc.—help alleviate labor shortage? Turgeon says, “Schools can help by not shaming kids into believing they have to go to college. And bring back the wood-working classes. Architects could design buildings that are easier to build. Aird says, “We are involved with several organizations, such as MCCEI (Maryland Center for Construction Education and Innovation) that are actively focused on alleviating the labor shortage. “Stop telling every student that they must go to college,” says Townsend. “Increase their awareness about opportunities in the trades, which provide for a great middle-class living. “In construction, apprentices are paid on the job, are educated for free, and don’t incur crippling student-loan debt like college grads. Plus, this really is a great career path. “As for other factors, I think AR (augmented reality) and BIM (Building Information Modeling) will soon allow both skilled and (potentially) unskilled workers to work faster, smarter, more efficiently and with smaller crews. Adds Schneewind, “Make everyone aware how much the trades are paying in salaries to increase the interest among younger folks entering the work force. Suggests Coyle, “Stop pushing high school students into higher education whether suited for it or not. Jerry Smith concurs: “High schools need to get back to thinking that not all students are going to college; they need to reintroduce trade classes to their curriculum. “Also, we as contractors need to go out and educate the public about our trade and the great opportunity to make a decent living that it offers. Greg Smith says, “I sure would like to see a resurgence in high schools teaching more shop classes and R.O.P. (Regional Occupational Program) preparing more kids for the trades. What future innovations or directions do contractors predict or foresee that might lessen the need for construction labor? DeHorn says, “Robots, drones and continued improvement on materials will definitely have an impact on our future labor. We are seeing robots that can go around the interior of the job site at night and scan the walls to see how much of a product has been installed. The next day that information is checked against the schedule to make sure the job is moving in the right direction. Offers Coyle, “With over 43 years in the drywall business and growing up in a family that had 42 drywall finishers at one time, I have witnessed many trends. The current industry trend that really scares me is self-performing GCs. They are taking a very specialized trade and generalizing the employees. If this trend goes unchecked, the specialty training that we provide our mechanics will be a thing of the past. “A self-performing GC will not be able to send their employees to the AWCI’s Doing it Right training, because they could be pouring concrete one day, drywall next week and casework the next. It is just not possible to be a jack-of-all-trades while maintaining good quality. These GCs have no concern for the industry, and with the self-performing GC pirating employees from subcontractors, I doubt our ongoing investment in employee training will continue. California-based Ulf Wolf is the senior writer at Words & Images.